Very central location in the Panier, and the owner on site to help with getting settled and leaving. The apartment has a great bed and bathroom and kitchen, although eating utensils are oddly absent. We had a great time here and would recommend to others! "The appartment is a very nice place to stay and is exactly as described. 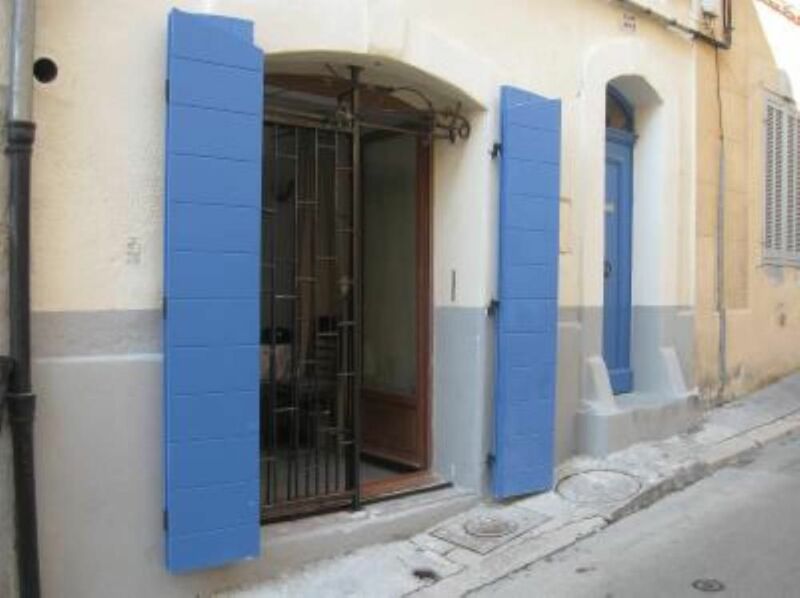 We would definitly book it again and recommend it to everyone who wants to stay in a cosy and inexpensive place in Marseille. It is well located near the old port and equipped with everything you need for a comfortable vacation." "A very nice place to stay, and the location is convenient - you can easily get everywhere in the city since the studio is 3 min walk from the Vieux Port. The studio is clean and comfortable, there's everything you need for a pleasant stay. The owners, Alain and Emilie, are very friendly and helpful. I arrived in Marseille late at night, and Alain even came to collect me at the airport in his car! So, if you choose to stay at "Les Volets Bleus", you won't be disappointed." Petite location très agréable, bien aménager et propre dans une petite rue super sympa, pour aller ce ballade dans les ruelles du paniers avec des commerçants très sympathique, accueil d ' Alain et sa femme très agréable, nous espérons bien y retourner. Merci à Alain de sa gentillesse. *Gare St Charles in 2 subway stations or 20mn on foot. *En vehicle, Highway A 50 taken(brought) out Old harbor. *De the airport Marignane (25km shuttle up to the station St Charles all the 20mn.